Common side effects of VESIcare include dry mouth, constipation, heartburn and nausea. 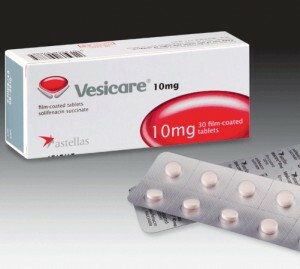 Serious VESIcare side effects include depression, confusion, difficulty passing urine and worsening of glaucoma. In some cases, VESIcare may cause an allergic reaction. In clinical studies, dry mouth and constipation were by far the most widely reported of these side effects, followed by blurred vision, UTI, heartburn and nausea. The least reported of these side effects include high blood pressure, coughing and fatigue. Of this list of common side effects, many are relatively minor and can easily be treated either by your doctor. Severe constipation can be defined as constipation lasting 3 days or more. Of these serious side effects, some are rarer than others. The rarest include hallucination, depression and confusion. Patients with certain conditions may be at greater risk of side effects. For instance, Vesicare users with pre-existing arrhythmia may find that high doses of the drug increase the risk of a potentially dangerous irregular heart rhythm called QT prolongation. Patients who already have a slow digestive system due to other medical problems may find that Vesicare slows digestion down even more. The drug can also make glaucoma worse. Other pre-existing conditions that doctors should be made aware of before prescribing Vesicare include liver disease, kidney disease, difficulty passing urine, an enlarged prostate or any allergies. When used in conjunction with certain other medicines, Vesicare may cause adverse reactions. For instance, taking the drug with an ACE inhibitor can reduce the effectiveness of both medications. Combining Vesicare with another anticholinergic medication may increase a patient’s risk for such side effects of Vesicare as dry mouth, dry eyes, constipation or difficulty passing urine. Some antibiotic or antifungal medicines can increase the level of Vesicare in a patient’s blood. Before starting Vesicare patients should therefore inform their doctor if they’re taking any of these types of medication. Other medications that healthcare providers need to be made aware of before prescribing Vesicare include drugs that cause QT prolongation and protease inhibitors. If a patient isn’t sure if their medication is one of the types mentioned, they should ask his or her doctor. Existing Vesicare users should inform their healthcare provider if they’re planning on starting a new medication. A 5 mg daily dose of Vesicare should not be exceeded when administered with therapeutic doses of ketoconazole or other potent CYP3A4 inhibitors. There are no controlled clinical studies on the use of Vesicare in pregnant humans. In animal studies on mice, side effects of Vesicare included low fetal weight and increased risk of a cleft palate. Newborn mice exposed to solifenacin were less likely to survive. Vesicare appeared to have no adverse effects in pregnant rabbits. Despite the lack of controlled data on Vesicare in pregnant humans, a doctor may prescribe Vesicare to a pregnant woman if the benefits of taking the medicine outweigh any possible risks to the fetus. It is not currently known whether Vesicare passes through breast milk in humans. There have been no controlled clinical studies to determine this. However, studies have shown that the drug passes through breast milk in mice. It is recommended that women avoid taking solifenacin while breastfeeding. That said, every situation is different and a woman who feels taking Vesicare while breastfeeding is right for her, she should discuss the matter with a healthcare provider. If a patient takes Vesicare while breastfeeding, she must be extremely vigilant for any side effects in her baby. Most VESIcare users tolerate the drug quite well, experiencing no problems with it. However, as is the case with all medications, some people will experience Vesicare side effects. Therefore it is important to be vigilant for side effects of solifenacin and to contact a doctor if minor side effects become bothersome or if serious side effects develop. As with all medication, Vesicare should always be taken as directed in order to minimize risks.